Before creating a video, consider what stage of the college search it would ideally be targeting. A potential student who’s conducting a broad search of choices might want a more general overview of what you offer rather than specific info on degrees or programs. As the student grows more interested, that’s when they’ll be looking for more in-depth information, like specific programs available or professors on staff. Since there are a lot of steps involved between discovering a potential college and deciding to enroll, it will be helpful to break it up into a few phases. Here are our recommendations. Using video content can increase Google ranking and increase traffic to your site - making it a great way to build initial attraction. At this stage, you’ll be targeting students that haven’t done much research yet and are still on the hunt, so a broad message is key. A video of a high-profile guest speaker that a student would recognize would be attention-grabbing, as would a narrative video demonstrating the unique qualities of your school. 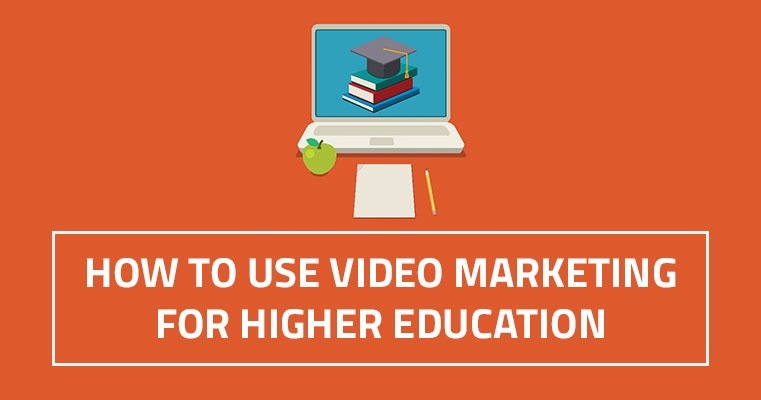 Try a tutorial or educational video as well, as that will help students associate your brand with tangible benefits. In this phase, it’s time to make your brand really stand out and begin to target degree-specific leads. This is an opportunity to connect with potential students and capture their interest. A student testimonial video would be effective in this stage - prospective students will want to see what other students are saying about your school. Another good option is a tour video showing off some impressive landmarks or key buildings around your campus. To target specific degrees, consider putting up a clip of a lecture from an engaging professor or exciting class. Check out this video Right Idea Media and Creative produced for the University of the Pacific. This video has both testimonials from students and interviews with faculty members. It lays out their mission statement and shows off a variety of specific courses offered. This type of video is effective for the phase of the search we are targeting - the goal being to get the viewer excited enough to want to learn more. Now that you’ve got them on the line, in this phase it’s important to target your leads with messaging specific to them, with a call to action included. Answer any lingering questions and make the process seem easy and straightforward. A good example of this style of video can be found in this :15 awareness spot for the IT program at Iowa Western Community College. The more concise and easy-to-digest the video, the better. This example shows just how simple it can be to get an effective message across, even in a limited amount of time. In 15 seconds, this video hooks the targeted audience of those looking for a career change, offers tangible benefits to the viewer in the form of a better-paying, more stable career, and emphasizes the convenience and ease with which they can attain a degree with the ability to take classes both online and on campus. Once you've got them on your website, they can learn more for themselves. Personal interviews with faculty members showing off their academic departments can help capture degree-specific interests and bring the potential student closer to application. Student testimonials are also a must - prospective students will want to know what others in their position have said about your school. Informational videos explaining details of the application process are another good option - making the process seem transparent and easy as possible is crucial. 85% of colleges already have a presence on YouTube - don’t fall behind! As always, for all your video production needs, Right Idea Media and Creative is here to help. We have years of experience producing videos to suit every stage outlined above. If you have questions, reach out anytime to sales@rightideacreative.com!